Quickly identify each parking spot. 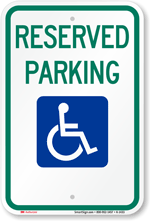 Durable reflective signs with heavy duty aluminum backing withstands abuse. • Reflective signs shine brilliantly when seen with your car’s headlights. 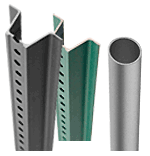 • The holes are 0.25” in od. Signs do not include mounting hardware. 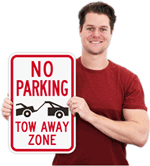 • These are great add-on products for your parking stops. 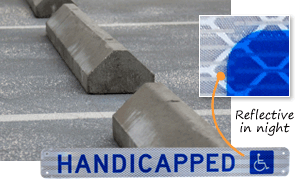 Note, however, that they can be attached to any parking stop, including concrete stops.